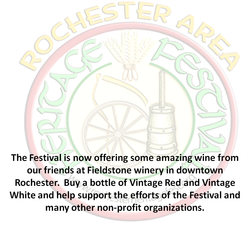 Raise money for Rochester Area Heritage Festival just by searching the web and shopping online! I have a great time volunteering with the Rochester Area Heritage Festival. It's a great, family-friendly festival that is all-volunteer and works toward raising money to support many non-profit organizations in the area.